"They saved lives at home, so others could save lives abroad." This website is a compilation of information about the U.S. Cadet Nurse Corps—the nation's first integrated uniformed U.S. service corps—which fulfilled an urgent need for nurses during World War II. At that time many nurses were called overseas to military service, and other women were attracted to the defense industry, while understaffed civilian hospitals in the United States were on the verge of collapse. By 1945, Cadet Nurses were providing 80% of the nursing care in U.S. hospitals. Today their legacy lives on. Honor and celebrate Cadet Nurses in 2018! See list of 75th Anniversary events here. The year 2018 brings the opportunity for Cadet Nurses, their families, friends, academic institutions, historical societies, museums, libraries, governmental and non-governmental organizations, and related entities to partner in celebrating the 75th anniversary of the U.S. Cadet Nurse Corps' establishment. 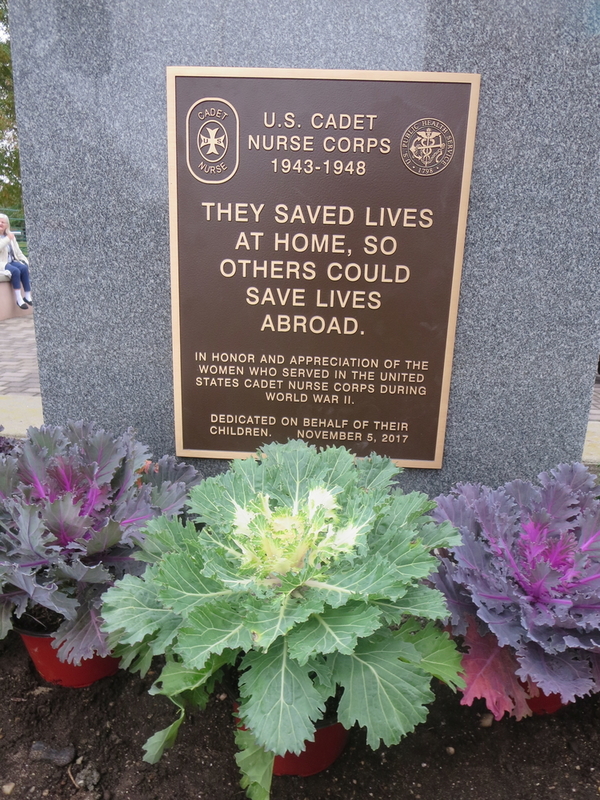 What are your plans to honor and formally recognize Cadet Nurses present or in your memories? Cadet Nurse Flag planting at the graves of deceased Cadet Nurses on July 1, 2018. This website and companion Facebook page provide resources for local, regional, and national celebrations. Feel free to make use of any of them, or recommend others for inclusion here. Find event planning and organizational tools on this page. Read Cadet Nurse stories and Cadet Nurse Corps program information on this website. The stories and resources documented on uscadetnurse.org is a collective effort by volunteers. This website would not be as extensive as it is without the generous support of Cadet Nurses, their families, and friends, who contribute to it. We welcome additional insights by those who can and want to help advance a collective effort, especially in ways complementary to those reflected in this website. Please contact us here. After you have checked out this website, learn more about Cadet Nurses and the Corps from some books!